In February this year, the results of a pilot study undertaken by the UK’s National Foundation for Educational Research were published. 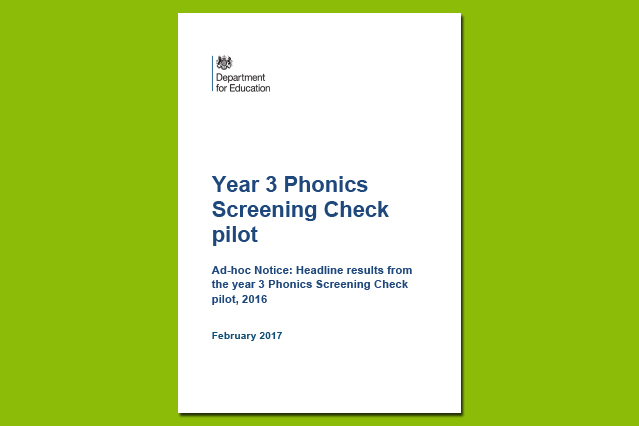 300 randomly selected schools trialled materials for a Year 3 Phonics Screening Check pilot. The pupils who took part in the trial were Year 3 pupils who had not met the required standard by the end of Year 2. The study found that 51% of all the pupils taking part met the required standard. 39% of pupils with special educational needs support or statement met the expected standard, compared to 65% of pupils with no special educational needs. Certainly food for thought. See the whole report.